It's Ram Navami! 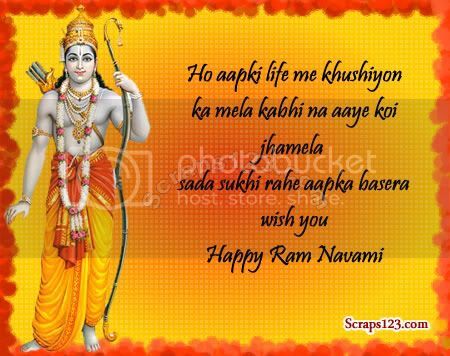 Wish your friends a Happy Ram Navami....celebrate the birth of Lord Ram, the seventh incarnation of Lord Vishnu. The nineth day (Navami) in the bright fortnight of the Hindu lunar month of Chaitra is referred to as Ram Navami.